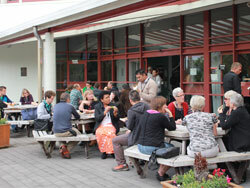 The slides from the NMIT welcome/keynote from Moodle Moot NZ14 are now available on SlideShare. They’ve added some extra links and details to a few slides. This was the presentation given by David Sturrock, head of the NMIT Flexible Learning team, and gives an interesting insight into the e-learning and Moodle strategy at NMIT.